September is usually a busy month for us here at Inboundly but we would never miss a chance to visit BirghtonSEO. It is one of our favourite SEO events in the UK as it always attracts big crowd of SEO experts from all over the world, this time we had around 1700 attendees. We don’t have much time and will not go into details of all the presentations but we would like to mention a couple of really exceptional presentations which we liked best. This time we had 33 speakers and talks were divided into topical blocks covering; strategy, serps, onsite, links, data, technical, semantic, content and analytics. 1) 72% of Internet Users Do Not Speak English – International Outreach by Gisele Navarro. Gisele delivered truly amazing presentation full of actionable tips and data on here experience with international outreach. 2) Breaking SEO out of silos with PR and Marketing by Laura Crimmons. We really enjoyed Laura’s presentation and very actionable advice on how to get the PR teams on our (SEO’s) side. “make them feel included“, “dazzle them with sucess” and “prove where it’s worked before” were some of the highlights of Laura’s advice. You can see the full slide deck from her presentation below. This one not on links but just as fascinating. Jan-Willem showed us some powerful insights into the state and future of structured data markup, you can check a full slide deck from his presentation here. 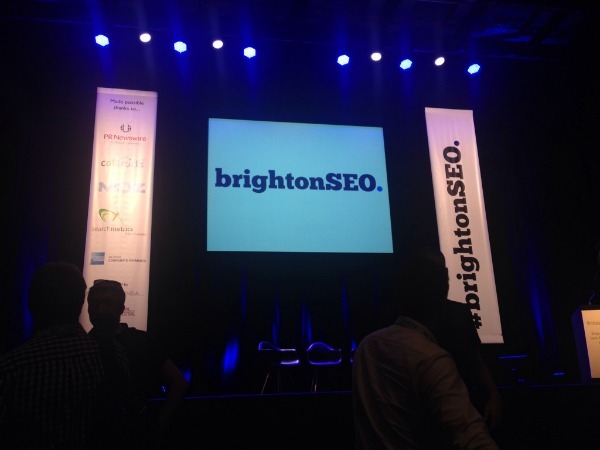 We are already looking forward to the next BrightonSEO which will take place in April 2015.